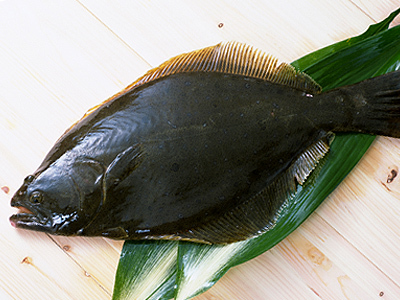 Hirame (ひらめ) is the Japanese name of “Olive Flounder”, a kind of Halibut/Flat fish. Hirame spends most of his time near the bottom of the sea. Flatfish share an interesting characteristic of having both eyes on one side of the head. Japanese businessmen use “Hirame” when they want to describe a person who only looks up to the management, and doesn’t care about his colleagues and subordinates. “The Japan Sumo Association (JSA) on Wednesday suspended Yokozuna Asashoryu for two upcoming tournaments after he played in a charity soccer game in Mongolia despite having sat out a regional sumo tour in Japan after claiming to be injured”. I guess this means Hakuho (白鵬) will win the next two tournaments. The Seventh Seal is one of the few DVDs I own, and is probably the one I cherish most. An amazing film, from an amazing director. We have invited a few Japanese friends and their children to celebrate Tanabata on our roof. I hope everyone enjoyed it. It was a bit hot, but the children didn’t care. Maybe we should arrange a pool next time. Photos attached (not of people, as I didn’t ask for their permission to post). Just some photos of the octopus we cooked. 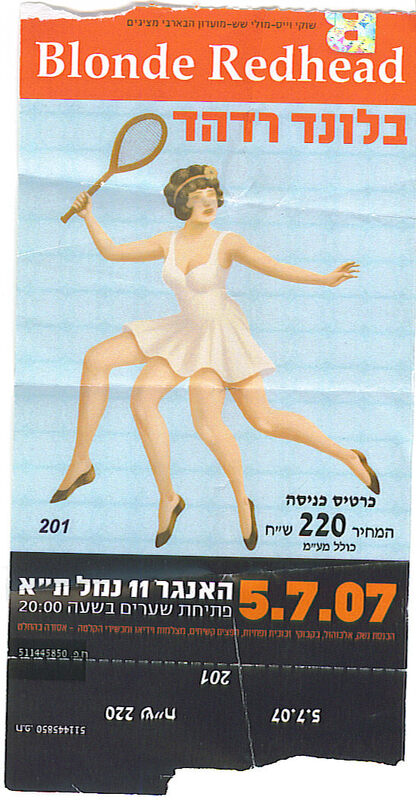 On the 5th of July, I went to see Blonde Redhead perform live in Hanger 11, Tel Aviv. Summary: Disappointed. Completely agree with the review in Ynet (Hebrew). The doors were opened at around 21:00. I guess i forgot what rock concerts are like in Tel Aviv, so I actually arrived at 21:10. Tickets were waiting in the counter. (200 NIS + 10 NIS commission, about 45$). Drank beer, and waited… and waited. At about 22:00 Rockfour went on the stage, and wasted my time. I didn’t enjoy their show. I remember watching them about 5-6 years ago, and they were good. Maybe the stage/place was too big for them. And then, I waited some more. At 23:00 Blonde Redhead started their show… and my first impression was: “Hey, they use playback”. Guitars were live, Drums were live… but, they used playback for effects and additional instruments. WHY? Their semi-live performance sounded exactly like their albums. I could just stay at home and listen to the CD. Could save me a lot of money and back ache. Stayed longer, enjoyed the songs from 23 and previous albums, including from “Melody of Certain Damaged Lemons”. Listened and swayed with the music when I had another revelation. They don’t speak. Kazu Makino said “Shalom” once, and one of the guys said: “Thank You”. Wow! Left at midnight, about 1 hour before the show was over (according to Ynet). One of the performers I have seen in Countdown Japan 06/07 was Salyu. Salyu became famous when she portrayed the role of Lily Chou Chou in the very successful and acclaimed movie: “All about Lily Chou Chou” by Shunji Iwai. She went on stage wearing a very funny and festive dress which the audience loved. When she started singing I was captivated. Went to Countdown Japan 06/07 Rock Festival. Well, I went only on the 29th of December. It was GREAT. Good music, great crowd. Finally, my luggage has arrived last night. Unharmed, with all the content. AF272 flight on the 15th of December, which is the flight I was supposed to take after I missed my connection. So, what happened to my suitcase? I don’t know. I didn’t receive any information. I now have to find out how to get my money back. I have spent more than 100$ on basic clothes/underwear.